Brazilian sensation Neymar has beaten club legend Ronaldinho Gaucho’s goalscoring record at Barcelona. Ronaldinho is much more than an icon at the Catalan club, having helped them win two La Liga titles and a UEFA Champions League in the five seasons he spent in Spain between 2003 and 2008. The Brazilian legend also scored 94 times during that time, but that record has now been beaten by his fellow young compatriot. 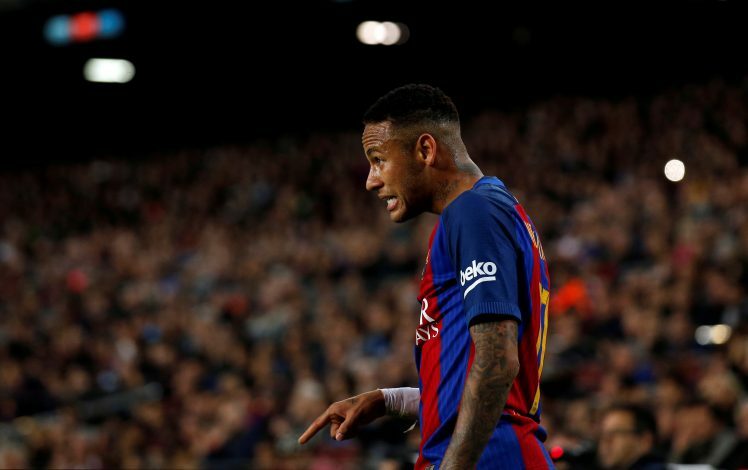 Neymar, who joined Barcelona from Santos back in 2013, has already overtaken Ronaldinho in the goalscoring charts for the La Liga club, by netting his 95th goal in Barca’s 6-0 win over Alaves on Saturday. The 24-year-old needed just four seasons to beat his idol’s record, and with his current contract with Barcelona ending in 2021, the Brazil international is bound to add a lot more goals to his name, and even mount a challenge to Lionel Messi’s mind-boggling tally of 484 goals (and counting) for the Camp Nou-based outfit. “Neymar is a star and he is doing a fantastic job. It is a pleasure to watch another Brazilian make history and he is one of the best players in the world.